The earliest recorded versions of this argument are associated with Socrates in ancient Greece, although it has been argued that he was taking up an older argument. Plato, his student, and Aristotle, Plato's student, developed complex approaches to the proposal that the cosmos has an intelligent cause, but it was the Stoics who, under their influence, "developed the battery of creationist arguments broadly known under the label 'The Argument from Design'". Socratic philosophy influenced the development of the Abrahamic religions in many ways, and the teleological argument has a long association with them. In the Middle Ages, Islamic theologians such as Al-Ghazali used the argument, although it was rejected as unnecessary by Quranic literalists, and as unconvincing by many Islamic philosophers. Later, the teleological argument was accepted by Saint Thomas Aquinas and included as the fifth of his "Five Ways" of proving the existence of God. In early modern England clergymen such as William Turner and John Ray were well-known proponents. In the early 18th century, William Derham published his Physico-Theology, which gave his "demonstration of the being and attributes of God from his works of creation". Later, William Paley, in his 1802 work on natural theology, published a prominent presentation of the design argument with his version of the watchmaker analogy and the first use of the phrase "argument from design". Also starting already in classical Greece, two approaches to the teleological argument developed, distinguished by their understanding of whether the natural order was literally created or not. The non-creationist approach starts most clearly with Aristotle, although many thinkers, such as the Neoplatonists, believed it was already intended by Plato. This approach is not creationist in a simple sense, because while it agrees that a cosmic intelligence is responsible for the natural order, it rejects the proposal that this requires a "creator" to physically make and maintain this order. The Neoplatonists did not find the teleological argument convincing, and in this they were followed by medieval philosophers such as Al-Farabi and Avicenna. Later, Averroes and Thomas Aquinas considered the argument acceptable, but not necessarily the best argument. In contrast to the approach of such philosophers and theologians, the intelligent design movement makes a creationist claim for an intelligence that intervenes in the natural order to make certain changes occur in nature. While the concept of an intelligence behind the natural order is ancient, a rational argument that concludes that we can know that the natural world has a designer, or a creating intelligence which has human-like purposes, appears to have begun with classical philosophy. Religious thinkers in Judaism, Hinduism, Confucianism, Islam and Christianity also developed versions of the teleological argument. Later, variants on the argument from design were produced in Western philosophy and by Christian fundamentalism. — Aristotle, Physics, II 8. Early Islamic philosophy played an important role in developing the philosophical understandings of God among Jewish and Christian thinkers in the Middle Ages, but concerning the teleological argument one of the lasting effects of this tradition came from its discussions of the difficulties which this type of proof has. Various forms of the argument from design have been used by Islamic theologians and philosophers from the time of the early Mutakallimun theologians in the 9th century, although it is rejected by fundamentalist or literalist schools, for whom the mention of God in the Qu'ran should be sufficient evidence. The argument from design was also seen as an unconvincing sophism by the early Islamic philosopher Al-Farabi, who instead took the "emanationist" approach of the Neoplatonists such as Plotinus, whereby nature is rationally ordered, but God is not like a craftsman who literally manages the world. Later, Avicenna was also convinced of this, and proposed instead a cosmological argument for the existence of God. The argument was however later accepted by both the Aristotelian philosopher Averroes (Ibn Rushd) and his great anti-philosophy opponent Al-Ghazali. Averroes' term for the argument was Dalīl al-ˁināya, which can be translated as "argument from providence". Both of them however accepted the argument because they believed it is explicitly mentioned in the Quran. Despite this, like Aristotle, the Neoplatonists, and Al-Farabi, Averroes proposed that order and continual motion in the world is caused by God's intellect. Whether Averroes was an "emanationist" like his predecessors has been a subject of disagreement and uncertainty. But it is generally agreed that what he adapted from those traditions, agreed with them about the fact that God does not create in the same way as a craftsman. Derham concludes: "For it is a Sign a Man is a wilful, perverse Atheist, that will impute so glorious a Work, as the Creation is, to any Thing, yea, a mere Nothing (as Chance is) rather than to God. A.S. Weber writes that Derham's Physico-Theology "directly influenced" William Paley's later work. Richard Swinburne's "contributions to philosophical theology have sought to apply more sophisticated versions of probability theory to the question of God’s existence, a methodological improvement on Tennant’s work but squarely in the same spirit." He uses Bayesian probability "taking account not only of the order and functioning of nature but also of the 'fit' between human intelligence and the universe, whereby one can understand its workings, as well as human aesthetic, moral, and religious experience. Swinburne writes: "the existence of order in the world confirms the existence of God if and only if the existence of this order in the world is more probable if there is a God than if there is not. ... the probability of order of the right kind is very much greater if there is a God, and so that the existence of such order adds greatly to the probability that there is a God." Swinburne acknowledges that his argument by itself may not give a reason to believe in the existence of God, but in combination with other arguments such as cosmological arguments and evidence from mystical experience, he thinks it can. The philosopher of biology Michael Ruse has argued that Darwin treated the structure of organisms as if they had a purpose: "the organism-as-if-it-were-designed-by God picture was absolutely central to Darwin’s thinking in 1862, as it always had been." He refers to this as "the metaphor of design ... Organisms give the appearance of being designed, and thanks to Charles Darwin’s discovery of natural selection we know why this is true." In his review of Ruse's book, R.J. Richards writes, "Biologists quite routinely refer to the design of organisms and their traits, but properly speaking it's apparent design to which they refer – an “as if” design." Robert Foley refers to this as "the illusion of purpose, design, and progress." He adds, "there is no purpose in a fundamentally causative manner in evolution but that the processes of selection and adaptation give the illusion of purpose through the utter functionality and designed nature of the biological world. However, theologian Alister McGrath has pointed out that the fine-tuning of carbon is even responsible for nature’s ability to tune itself to any degree. 1 2 Ahbel-Rappe, S. and Kamtekar, R., A Companion to Socrates, John Wiley & Sons, 2009, p. 45. "Xenophon attributes to Socrates what is probably the earliest known natural theology, an argument for the existence of the gods from observations of design in the physical world." 1 2 Sedley 2007, page xvii. 1 2 3 4 5 Eugenie C. Scott. Biological design in science classrooms. Proceedings of the National Academy of Sciences. May 15, 2007 [Retrieved 2013-9-9];104(Suppl 1):8669–8676. doi:10.1073/pnas.0701505104. PMID 17494747. PMC 1876445. 1 2 Ahbel-Rappe, Sara, Socrates: A Guide for the Perplexed, p. 27 . 1 2 3 4 Sedley, David (2007), Creationism and Its Critics in Antiquity, University of California Press . ↑ Brickhouse, Thomas; Smith, Nicholas D. (April 21, 2005). "Plato". Internet Encyclopedia of Philosophy. Retrieved November 12, 2011. 1 2 3 Nussbaum, M.C. (1985). Aristotle's de Motu Animalium. Princeton paperbacks. Princeton University Press. p. 60,66,69–70,73–81,94–98,101. ISBN 978-0-691-02035-8. LCCN 77072132. 1 2 Harris, J.M., Nachman Krochmal: Guiding the Perplexed of the Modern Age, NYU Press, 1991, p. 45. 1 2 3 Hume, David (1779). Dialogues Concerning Natural Religion (The Second ed.). London: s.n. p. 111. ↑ Translation from Aristotle to Darwin and Back Again: A Journey in Final Causality, Species, and Evolution Etienne Gilson Ignatius Press, 2009 p. 126. 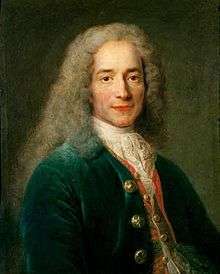 Original: "L'univers m'embarrasse, et je ne puis songer Que cette horloge existe, et n'ait point d'horloger"; Voltaire. Les cabales,: oeuvre pacifique. Oxford University, s. n., 1772. p. 9. ISBN 978-1-165-51896-8. 1 2 3 Craig, E., Routledge Encyclopedia of Philosophy", Taylor & Francis, 1998, Entry for Tennant, Frederick Robert (1866-1957)." 1 2 Encyclopædia Britannica, entry on Christian philosophy'. ↑ Dicker, G., Berkeley's Idealism: A Critical Examination, Oxford University Press, 2011 p.262. 1 2 3 4 Himma, Kenneth Einar (12 April 2009). "Design Arguments for the Existence of God". Internet Encyclopedia of Philosophy. Retrieved November 19, 2011. 1 2 Allen, Diogenes (2010). Theology for a Troubled Believer: An Introduction to the Christian Faith. Westminster John Knox Press. p. 42. ISBN 978-0-664-22322-9. 1 2 Pigliucci, Massimo (2010). Nonsense on Stilts: How to Tell Science from Bunk. University of Chicago Press. p. 177. ISBN 978-0-226-66786-7. LCCN 2009049778. [E]ven back in Aristotle's time, a fundamental assumption of doing things scientifically is that the supernatural is out: no explanations that invoke non-natural causes are allowed. ↑ Shapiro, James (2011). Evolution: A View from the 21st Century. Pearson Education. pp. 136–137. 1 2 3 Fiesar, James (June 30, 2011). "David Hume (1711-1776)". Internet Encyclopedia of Philosophy. Retrieved November 24, 2011. 1 2 Voltaire (1901) . "On the Existence of God". The Works of Voltaire: The Henriade: Letters and miscellanies. XXI. trans. William F. Fleming. Werner. pp. 239–240. 1 2 Søren Kierkegaard, Philosophical Fragments (1844). 1 2 3 4 Dawkins, Richard (2006). The God Delusion. Houghton Mifflin Co. pp. 103, 136–138, 162–166. ISBN 978-0-618-68000-9. LCCN 2006015506. ↑ Richards, Robert J. (2004). "Michael Ruse's Design for Living" (PDF). Journal of the History of Biology. 37: 25–38. doi:10.1023/b:hist.0000020388.99933.5b. 1 2 Dembski, William A. (2004). The Design Revolution: Answering the Toughest Questions About Intelligent Design. InterVarsity Press. pp. 58–59, 61. ISBN 978-0-8308-3216-3. LCCN 2003020589. ↑ Rust, E., Religion, Revelation and Reason, Mercer University Press, 1981, p. 96.